Should You Get a Gold IRA? If you are planning for a better retirement, you actually have more instruments to use right now. You can develop your own investment portfolio and generate passive revenue from the investments you make. You also have the option to invest in real estate and mutual funds, particularly for the long-term gains they offer. One thing you also want to use when doing retirement planning is the Individual Retirement Account or IRA. It gives you the ability to earn tax-deferred growth on up to $5,000 per year. You also have the option to switch to a gold IRA. What is the difference between the two? Should you get a gold IRA? We are going to answer these questions in this article. Gold IRAs are different from conventional IRAs in one important respect. Instead of holding paper assets, you get physical gold coins or bars. Of course, you can also opt for a silver IRA, but a gold IRA is generally more common and offers better returns. In recent years, a gold IRA is the more popular retirement planning tool of the lot. This is because the value of gold is on a steady climb; experts believe that gold will continue to grow in value over the next several years, promising a healthier return in the long run. Gold is also very good at keeping its value. 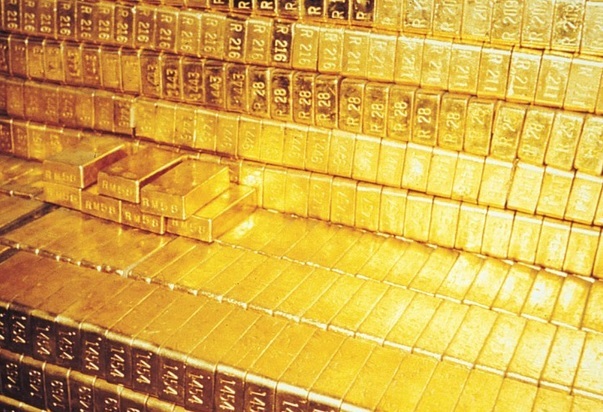 A complication of recent studies showed that gold has the ability to retain at least 100% of its value over time. The cost of buying land 20 years ago is relatively the same as the cost of buying land today if the purchase is made in gold bars and coins. There are several reasons why making the switch to gold IRAs is a good move to make. For starters, it is a great way to diversify your retirement plan further. Since a gold IRA isn’t based on the stock market or paper assets, you also get the extra level of security with your investment. Gold IRAs are tax efficient. Investing in gold lets you save on your taxes in different ways. On top of that, you have gold’s stability to benefit from. As mentioned before, this precious metal is exceptional when used as a way to hold the value of your wealth over time. Moving from one qualified retirement account to another does not result in you having to pay taxes or fees on your retirement savings. Since a gold IRA is recognized as a qualified retirement account, switching to it from a conventional retirement account is easy and free. The move can be made from different retirement accounts, including the 401k and your RothIRA. If you are not sure about how to make the transfer or rollover, you also have IRA specialists to consult with. It is also worth noting that liquidating your gold IRA is just as easy as withdrawing money from other retirement accounts. So, should you move to a gold IRA? The answer is most likely yes. Review your current retirement plan and find ways to integrate a gold IRA into your financial future to enjoy its benefits. Being a coin collector, a gold IRA is extra appealing to me. Thanks for the great overview.